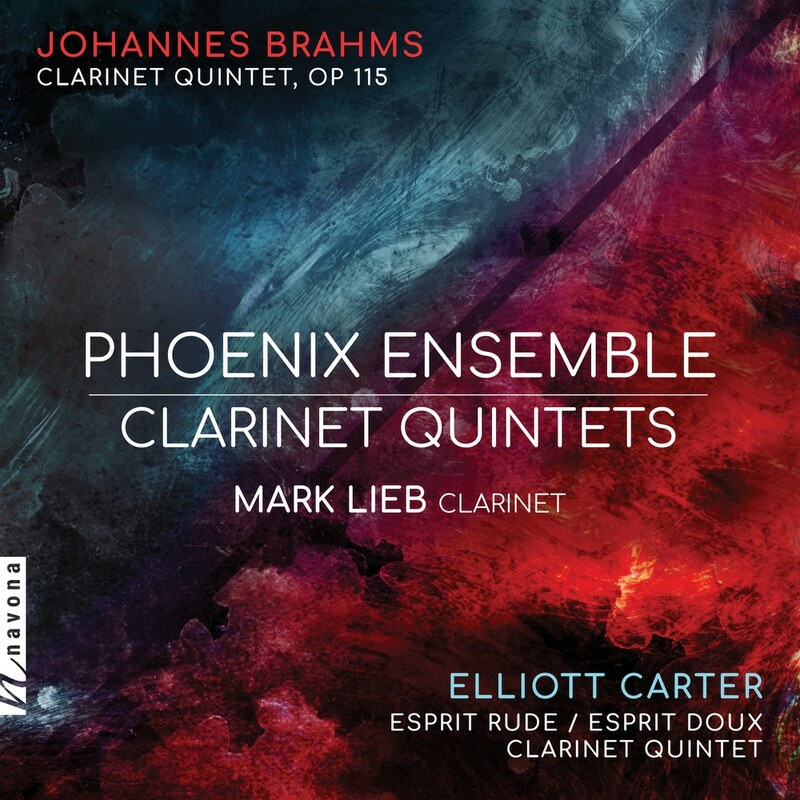 The Phoenix Ensemble’s latest album Johannes Brahms / Elliott Carter: Clarinet Quintets is, of course, masterful. The Phoenix Ensemble now looks back on almost three decades of being a fixture in the national chamber music scene, focusing on performances and recordings of 20th- and 21st-century music. Indeed, it may be this particular specialization in complex musical structures that allows the musicians to explore Brahms' late quintet with the previously unheard thoroughness and careful reconnaissance displayed on this album. Strikingly, both faster movements in the work – the opening “I. Allegro” and the closing “IV. Con moto” – are examined more slowly, with deep profundity. Contrary to what one may expect, the work is enriched by reining in the tempo, enlarging the underlying thought process of Brahms' compositional technique as if viewed through a magnifying glass. But there's yet another artistic merit to this measure – unifying all four movements of Brahms’ quintet in terms of speed also makes them fit perfectly with the otherwise vastly different Clarinet Quintet (2007) by Elliott Carter, a work that consists of movements which blend into one another. The ensemble's previously restrained rhythmic energy is fully unleashed in this structurally dense contemporary composition, culminating in an enigmatic finale.